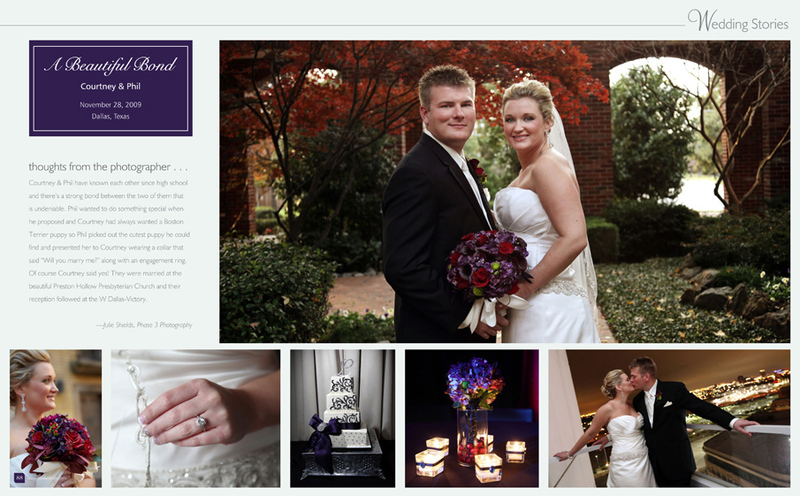 Texas Wedding Guide’s newest issue has featured Courtney and Phil’s wedding! Their ceremony was at the beautiful Preston Hollow Presbyterian Church and the reception was at the ever so cool W Dallas – Victory. I am so happy for them both and their exciting new life together with their super cute dog Jules!